Lois E. Goodwin, 74, widow of William L. Goodwin (died in 1961) of 15 Bramhall St. died Saturday in a local hospital after a brief illness. Born in Westbrook, she was the daughter of Clarence E. and Bertha Manchester Scribner. She attended Westbrook and Portland schools and made her home in Greater Portland all of her life. She was a member of the Preble Chapel. She is survived by four sons, Richard E. Harris, Sr. of Westbrook, William L. Goodwin, Jr. of Reno, Nevada, Robert C. Goodwin of South Portland and John T. Goodwin of South Portland; four daughters, Mrs. Robert (Estelle) Backus of Portland, Mrs. Lonnie (Elizabeth) Wilson of Tampa, Fla., Miss Alice M. Goodwin and Miss Margaret R. Goodwin, both of Portland; two brothers, Ralph V. Scribner of Westbrook and Harold Hooper of North Windham; two sisters, Mrs. Bernice Jones and Mrs. Pearl Brix, both of Westbrook; and several, grandchildren. Funeral services will be held at 11 a.m. Tuesday at 749 Congress St. The Rev. Arthur Moore will officiate. Interment will be in Pine Grove Cemetery, Portland. BERWICK; David L. GOODWIN, 64 of Hubbard Road, died unexpectedly at his home Thursday evening, 21 May 1981. Born 17 April 1916 in Lebanon, Maine, the son of Thomas and Lucy (OTIS) GOODWIN, he had lived the greater part of his life in Berwick. Mr. GOODWIN was educated in the Berwick schools. He retired in 1979 as a pipe fitter and welder at the Portsmouth Naval Shipyard. He was a member of the Maine Organic Farmers and Gardeners Association. Members of his family include his wife, Stella (MOUND) GOODWIN of Berwick; four sons, Thomas D. GOODWIN of Eliot, Lawrence I. GOODWIN of Rochester, Lt. William L. GOODWIN of the U.S. Air Force, stationed at Hanscom Field, Mass., four daughters, Janet BIBBER of Portsmouth, Joan GOODWIN of Worcester, Mass., Lucretia GAGNON of Berwick, and Debra GOODWIN of Banning, Calif., four brothers, Harland K. GOODWIN of Berwick, Forrest D. GOODWIN of Berwick, Otis F. GOODWIN of Ottawa, Kansas, and Lester GOODWIN of Fort Worth, Texas; thirteen grandchildren; two great-grandchildren; and several nieces, nephews and cousins. Funeral services were held at the Laing Funeral Chapel, 29 Rochester St., Berwick, with the Rev. L. Frederick PERRY officiating. Private burial was held at Evergreen Cemetery in Berwick. Our sympathy goes to Janet BIBBER who is a member of the GOODWIN organization. DOVER - Richard H. Goodwin, 62, of 49 High Ridge Drive, died Thursday, Feb. 12, 1981, at the Veterans Hospital, White River Jct., Vt.
Born Oct. 3, 1918, in South Berwick, he was the son of Willis and Myrtie (Boston) Goodwin. He was an Army veteran of World War II, a resident of Dover for many years and was employed at Spaulding Fibre Co. and Bayhead Products Co. before his retirement eight years ago. Members of his family include three sons, Frederick Goodwin of Rochester, Stephen Goodwin and John Goodwin, both of Dover; three grandchildren; two brothers, Everett Goodwin of Wells, Maine, and Kenneth Goodwin of North Berwick; two sisters, Mrs. Gladys Collier and Mrs. Delmar (Marion) Boston, both of South Berwick; and several nieces, nephews and cousins. Funeral services will be held at 1:30 p.m. Saturday at the Tasker, Chesley and McGill Funeral Home, 621 Central Ave., with the Rev. Daniel Weaver, pastor of St. John's United Methodist Church, officiating. Due to our rapidly broadening membership and the descent of many of our members from other Goodwin immigrants, we felt a new and more appropriate title for this family tree column was needed. Mr. C. W. SMITH, Monrovia, Calif.
Sources for above: The Goodwins of Kittery. Me. And Gen. Diet, of Me. & N.H.
7. Sarah Ellen GOODWIN b ca 1842 Newfield, Me. M John MOORE [He was 7 yrs; old 1850 census, d 13 July 1935 bur Riverside Cem., Springvale, Me. Information from legal documents, Detroit, Me. Cemetery gravestones and book: The Worcester Family Genealogy pub. Ca 1914 by Sarah Alice Worcester. Ozias was a brother of William Goodwin who came to Boston from London on the ship Lyon in 1632. The first appearance of Ozias in New England is in Hartford, Connecticut as a landholder in 1639. Ebenezer (5) Ebenezer (4), Aaron (3), Moses (2), Daniel (1). Ebenezer (5) Goodwin, b. South Berwick, Me. 30 Dec. 1781; married (1) Kittery, Me., 17 Feb, 1807 to Mary Fernald b. Kittery, Me., 11 Sept. 1780; d. South Berwick, Me. 9 Feb. 1832, daughter of Capt. Mark and Mary Shapleigh Fernald of Kittery, Me., (2) South Berwick, 30 Oct. 1833, Keziah Randel of Berwick, who d. 8 Mar. 1877, aged 87 years. He was a farmer, and res. on Goodwin Lane of Old Fields Road in South Berwick. Ebenezer Goodwin died in South Berwick, 12, Jan. 1864. A. Ivory, b. 1808; m. Elizabeth Rawson Hill. B. Mary A., b. 4 Nov. 1810; m. 25 Oct. 1835, Dr. Hiram A. Emery (b. South Berwick, 12 Apr. 1812; d. Brooklyn, N. Y., 27 Apr. 1893, early a dentist in Boston, later engaged successfully in oil exploration and development in Virginia, who retired and res. in Brooklyn, son of Andrew and Shuah (Bartlett) Emery of South Berwick; she d. Brooklyn, 26 Oct. 1891. ? See The Emery Genealogy (1890), p. 444 for their descendants. The eldest son, Charles Goodwin Emery (b. New Portland, Me., 20 July 1836, d. NYC, 15 Jan. 1915 was a founder of Goodwin and Co., tobacco merchants, first treasurer of the American Tobacco Co., a bank director, club man, and noted art collector, who res. at 1 West 72nd St., NYC with a summer estate at Thousand Islands, N.Y.
C. Eben, b. 1815; m. Maria Louisa Gould. D. Hon. Mark Fernald, b. 1 Aug. 1817; m. Dorcas Bartlett Frost. E. Charles Trafton, b. 1821; m. Emily Gertrude Wyckoff. F. William Hayes, b. 6 June, 1824; m. Addraetta Wynant. (A.) IVORY GOODWIN, b. South Berwick, Me., 1808; m. Eliot, Me., 17 July, 1836, Elizabeth Rawson Hill (b. Kittery (Eliot), Me., 27 May, 1811; d. South Berwick, Me., 7 Dec. 1886), daughter of Samuel and Elizabeth (Rawson) Hill of Eliot, Me., and Aunt of Governor John F. Hill of Maine. He was educated at Berwick Academy, and served in the State Militia under Daniel Hill, elected Lieutenant in Aug. 1832 and discharged October 1837. He engaged in the lumber business in Bangor, but by 1856 had returned to South Berwick where he resided on Vine Street, and died 30 June 1868.
b. Elizabeth Rawson, b. Bangor, Me., July 1843; m. South Berwick, Me., 5 Dec. 1878, Albert Goodwin, q.v. ; d. Rye Beach, N.H., 23 Mar. 1922, no children; she was educated at Berwick Academy. c. Charles Eben, b. Bangor, Me., 3 Oct. 1845/6; m 3 May 1870, Sarah F. Fall (b. 1851 daughter of Capt. Isaac P. and Sarah A. (Abbott) Fall of South Berwick, Me. He entered the tobacco business of his uncle Eben Goodwin in New York City, and was in charge of the New Orleans branch, then entered the oil business where he made a substantial fortune. Res. Kane, Pa., where he died c. 1921.
d. Josephine Mora, b. c. 1847 (prob. ); grad. Berwick Academy, 186 3; m. George F. Trowbridge of Salmon Falls, and lived in Nashua, Manchester, or Lowell, prob. no ch. e. Charlotte, b. c. 1849; died young. f. Mary Charlotte, b. South Berwick, Me., 27 July 1851; educated Berwick Academy; m. July 29, 1874, James H. Perkins of Rye, N. H., where she lived, and d. 1 August 1942, 5 ch. (C.) Eben (6) Goodwin, b. South Berwick, Me., 1815; mar. New York City, 25 Sept. 1850, Maria Louisa Goold (b. Mass., 1829; d. N.Y.C., 10 Feb. 1871, age 41/3/20), only dau. of James M. and Emeline Louisa (Wilson) Goold of New York City. He was educated at Berwick, Academy, and in early life engaged in ship building with his brother Mark Fernald Goodwin in South Berwick, Me. By 1845 he was a tobacco merchant in New York City, a founder of Goodwin and Company of 209 Water Street, which later merged forming the American Tobacco Company. Res. 365 Lexington Avenue (Ward 19), N.Y.C., and for the last eight years of his life at the Fifth Avenue Hotel. After building a fortune, he withdrew from tobacco and engaged in stock speculation with disastrous results. He committed suicide, 9 Sept. 1877, aged 62, in New York Harbor, by leaping from the ferry boat Jay Gould. His wife was buried in Greenwood Cemetery, Brooklyn, with her parents, and he was buried in the family plot in South Berwick, Me. His will, made on 27 June 1877, was probated 1 Oct. 1877 (New York County Probates). 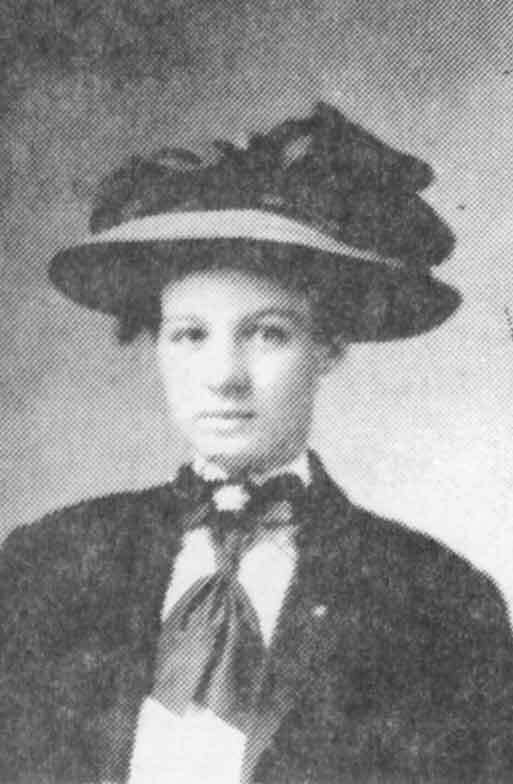 a. Emeline Goodwin, principal heir to her father in 1877; d. 1898, unm., and was bur. in Greenwood Cemetery, Brooklyn. (D.) Hon. Mark Fernald (6) Goodwin, b. South Berwick, Me., 1 Aug. 1817; m. South Berwick, 4 Dec. 1845, Dorcas Bartlett Frost of Frost Garrisons, Eliot, Me. (b. Eliot, Me., 7 Sep 1821; d. South Berwick, 22 Jan 1898) d/o Capt. Joseph and Dorcas Moulton (Bartlett) FROST. He was educated at Berwick Academy, and became a ship builder at the Lower Landing in South Berwick where, with his brother Eben Goodwin of New York City, he built in 1846 the brig Picard which sold in 1847 to Capt. Bush of New York, and later the Elizabeth, commanded by Capt. Young of York. He was also a prosperous farmer on Old Fields Road in South Berwick, a lumber dealer and brick manufacturer. He was Selectman of South Berwick 1848-57 and Representative to the Maine Legislature 1850-51. He was also a large land owner, eventually over-extending his assets and ending in bankruptcy. Missing a turn on the night of 6 May 1875, he drove horse, carriage and self into the gorge called the Deep Hole at Great Works South Berwick where he perished. a. Addraetta W., b. 26 Sept. 1848; m. South Berwick, Me., 30 Sept. 1884, Nathaniel Knowlton, carriage manufacturer and farmer; res. South Berwick, Me., where they are buried, she died Augusta, Me. 30 sept. 1848 no ch. See Leading Citizens of York County, Maine (1896), pp. 340-343.
b. George Frost, b. 16 Dec. 1851; ed. at Berwick Academy; adm. his father's estate in 1875, and mysteriously disappeared shortly afterward, unm. (E.) CHARLES TRAFTON (6) GOODWIN, b. South Berwick, Me., 1821; m. (1) Emily Gertrude Wyckoff, who d. 4 Sept. 1873, aged 45 yrs., daughter of Simon P. and Mary A. (Dutcher) Wyckoff of Brooklyn, N.Y., (2) Elizabeth S.----, b. N.Y. State, July 1841. He was a flour merchant at 228 Front Street, N.Y. City, and in 1890, as Charles T. Goodwin & Son, a manufacturer of crackers at the same address. He res. (1880) 31 Cambridge Place, Brooklyn, N.Y., (1884) 259A Madison Street, and also in Rye, N.Y. He died 28 Nov. 1884, aged 63 years, and was buried with his wife in the Wyckoff plot in Greenwood Cemetery, Brooklyn. His will, made on 18 Jan. 1882, was probated 29 Dec. 1884 (King's County Probates). His widow resided (1900) 725 King Street, Port Chester, Rye, N.Y.
a. Eben Wyckoff, b. 24 July 1848; m. Mary E. Vanderburgh. b. Charles Trafton, Jr., m. Mary Gilbert Wyckoff. c. Mary, m. Edward (or Edwin) A. Milne, res. Flatbush, Brooklyn, N.Y., and had children who res. in Ridgewood, N.J., incl. Miss Ethel M. of 127 Washington Place, Gordon, Roger, and three others, Rae, Frank and Emily who were deceased by 1976.
d. Jennie S., b. Brooklyn, N.Y., 31 July 1859, m. Henry E. Chapman (b. 2 Feb. 1860, d. Brooklyn, N.Y. 9 Dec. 1935), and res. 316 Lafayette Ave., Brooklyn, N.Y. She d. 18 Nov. 1947. 3. Martha, m. her cousin Richard V. Goodwin, and res. 329 Washington Ave., Brooklyn, N.Y.
e. Gertrude, b. 7 Apr. 1866, d. 4 Sept. 1866.
f. Rev. Frank J., b. L.I., N.Y., c. 1861 (aged 19, 1880); m. Sarah Duffield. g. John B., b. L.I., Dec. 1876; res. (1910) Rye, N.Y.; liv. 1927, unmarried. h. Elizabeth (Elsa) W., b. L.I., Nov. 1881 res. (1910) Rye, N.Y.; liv. 1927; d. unm. (F.) WILLIAM HAYES (6) GOODWIN, b. South Berwick, Me., 6 June 1824; m. Staten Island, N.Y., 22 Aug. 1849, Addraetta Wynant (b. 27 Jan. 1828; d. 15 Oct. 1903), daughter of Peter Wynant of Staten Island, N.Y. With his brother Eben, he founded Goodwin and Company, tobacco merchants, at 209 Water Street, 204 Front Street, and 21 Fulton Street, one of four big tobacco firms which in 1889 combined to form the American Tobacco Company. He res. (1861) 41 East 11th Street, and (1871) 100 East 19th Street, N.Y.C (18th Ward). He died in New York, 20 Aug. 1871, aged 47 years 2 mos., and was buried in the Moravian Cemetery New Dorp, Staten Island, N.Y. On his monument is also listed William A. Rieger, 26 June 1900 - 28 Apr. 1943, unidentified. W. H. Goodwin's will made on 19 Apr. 1869, was probated 14 Sept. 1871 (New York County Probates). His widow res. (1880) 117 Cambridge Place, Brooklyn, N.Y., (1888) Yonkers, N.Y. and (1900) at 159 Riverdale Street, Yonkers. b. William, b. May 1857; res. (1900) 159 Riverdale St., Yonkers, N.Y., unm. c. Eben, b. Oct. 1858; res. (1900) 159 Riverdale St., Yonkers, N.Y., unm. d. Katherine Adele, b. N.Y.C. 7 Oct. 1864; m. Mr. Tunison; d. 3 May 1897.
e. Clarence, b. New Mexico, Mar. 1879 [This date seems to be an error as his father d. 1871.] res. (1900) 159 Riverdale St., Yonkers, N.Y., unm. EBEN WYCKOFF (7) GOODWIN, (s/o Charles Trafton) b. South Berwick, Me., 24 July 1848; m. Mary E. Vanderburgh. He was a flour merchant at Front Street, N.Y.C, a manufacturer of crackers, and proprietor of Eben W. Goodwin and Company, Bakers, at 129 E. Houston Street in 1880. Res. Rye, N.Y. He died 16 Feb. 1901.
a. Charles Emery, b. N.Y.C. c. 1893; during the severe fighting of the meuse-Argonne offensive in 1916, he incurred disabilities that resulted in his death; he also served with the American Army of Occupation, and was with the 71st on the American-Mexican border, 1916; res. 10 Fifth Ave., N.Y.; d. N.Y.C. 10 Oct. 1929, in his 37th year, unm. b. Richard Vanderburgh, b. N.Y.C, 20 Nov. 1895; m. Martha E. Chapman. CHARLES TRAFTON (7) GOODWIN, JR., (s/o Charles Trafton) m. Brooklyn, N.Y., 7 Nov. 1874 Mary Gilbert Wyckoff b. 30 June 1854; d. 21 Jan. 1922, dau. of Peter and Julia Ann (Hacen) Wyckoff of Brooklyn, N.Y. He was a broker and res. (1880) 31 South Oxford St., Brooklyn. REV. FRANK J. (7) GOODWIN, (s/o Charles Trafton) m. (1) Sarah Duffield, (2) --- ----, and had children. Res. Pawtucket, R. I., where he was a Congregational Church minister. Res. 1905-10 in Washington, D.C and in 1927 at 30 Lilley Road, West Hartford, Conn., c/o George P. Gillette. His wife Grace Duffield (sic), b. 2 Oct. 1869, d. 8 Jan., 1926, was bur. with his parents in Greenwood Cemetery, Brooklyn. RICHARD VANDERBURGH (8)GOODWIN, (s/o Eben Wyckoff) b. N.Y.C. 30 Nov. 1895; m. 22 June 1929, his cousin, Martha E. Chapman, daughter of Henry E. and Jennie S. (Goodwin) Chapman of Brooklyn, N.Y. He was educated at the Albany Military Academy, the Univ. of Washington, and Columbia University. 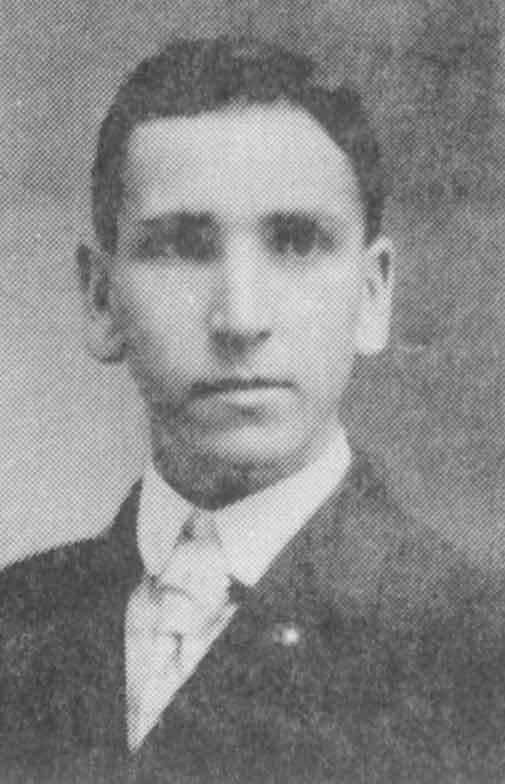 He entered the insurance business in 1912 and became underwriter for the Norwich Union Fire Company, and from 1914 to 1917 a member of the Compensation Insurance Rating Board of New York. He was associated with the Fireman's Fund Indemnity Company, 116 John Street, from 1930, vice-president in 1948. In 1945 he was appointed by Governor Dewey a former vice-president of the New York Board of Trade, and a director of many organizations. He res. 136 East 64th Street, N.Y.C. and died in N.Y., 1 April, 1952.
a. Elizabeth, m. Lewis T. Bennett, and res. (1952), Manchester, N.Y.
b. Richard V., senior at Brown Univ. at the time of his father's death; res. (1980) 624 East 20th Street, New York City. Mr. C. L. GOODWIN, Lockport, N.Y.
Mr. Richard HART, Riverwoods, Ill.
5. Rosa MILLS b 15 Nov 1863 LaPorte, Co. Ind. m Henry CRANCE [Census, Laporte, Ind. vital records]. 6. Claude CRANCE b 6 Oct 1880 LaPorte Co. Ind. m Flora SPARKS [same sources as above]. III-7 Wanted: parentage of Betsy Twombly m 1798 Enoch JOY and had dau. Sally (b. 1823) who m. 1845 Israel W. GOODWIN. Betsey's father may have been Ezekiel or Ephraim TW0MBLEY, as they were of Berwick. 111-8 Sarah (Sally) GOODWIN m. Levi PATTEE (b. ca 1775 in N.H.) in Danville, Vt. on 7 Sept. 1797. They were in Stanstead, Lower Canada (Quebec) by 1805, in Huron Co., Ohio by 1820 and in La Porte Co. Ind. by 1833. Sarah?s father was Jacob GOODWIN of Boscawen, N.H. who was also in Canada at same time. Does anyone have an idea about Jacob's line? 111-9 Information wanted on Elisha GOODWIN (1763-1835) m. 23 Sept. 1787 Sally LORD (1765-1837), both of Berwick, and both bur. in Elben LORD family lot near Sanford line and Lebanon Little River. Who were their children? Born where? Marr. to whom? Harry Goodwin of Eliot died on Friday of last week; and on Monday, October 2, 1964, he was buried in Mt. Pleasant Cemetery after services at the Buckminster Chapel, conducted by the Rev. Kwan Y. Lee. Just a month before, on September 2nd, Mr. Goodwin had attended funeral services here for his wife, Stella; and now, he, too, had succumbed to the cancer few knew he had. He was born in Dover in 1890 and moved to Eliot with his family about two years later when they moved to the home the Braden family own now. He grew up in Eliot and attended school here, then studied to be a mechanic. He joined the Army in World War I and was overseas from April 1918 to August of 1919 taking part in three major battles - those of the Argonne, the Pise-Aisne, and Saint Mihiel - and attained the rank of Corporal. After his return, Goodwin worked at York. From 1925 to 1949 he ran the garage on Goodwin Road, now owned by his son-in-law and daughter, Dave and Eleanor Pearsall. He and his wife Stella lived in the home located across the road and just a little way up toward Kittery from his boyhood home. First he sold Chevrolets, then became the first tractor dealer in the area, selling "Best Tractors". He sold the first area snowplow to York, and to the town of Eliot its first snowplow. Many in town remember that first plow - a huge wooden thing with a great wide wing on the right. His responsibility did not end with the sale. He kept the plows running through zero weather and the heaviest storms. [Sometimes] it meant snowshoeing from Eliot to Portsmouth to get parts as they came in on the train. He would snowshoe through heavy unplowed snow and - repairs made and service restored - back to Eliot he would travel on his snowshoes over Beech Ridge Road. If it was Eliot's plow that broke down, he would put up a canvas to gain some shelter from the storm and work until the great plow could start off again. Harry Goodwin loved to travel and made his first trips to Florida in the days when Model T's were the best way to cover rough roads. He took pictures everywhere he went, and collected pictures and cards of other places as well as many, many of Eliot. He shared these often with others, showing them at home and at the East Eliot Methodist Church, to which he belonged and supported in many ways over the years. He had hoped some day to write the story of his trips using the records of his wife to help him with the statistics but the warmth and color would have come from his own prodigious memory. Many had hoped he would find time to write of the history of the town using some of his many pictures as illustrations. Estella Maude Goodwin, wife of Harry N. Goodwin of Goodwin Rd., Eliot, died early Wednesday, morning at the Portsmouth Hospital following an illness of several months. Born in Malden, Mass. 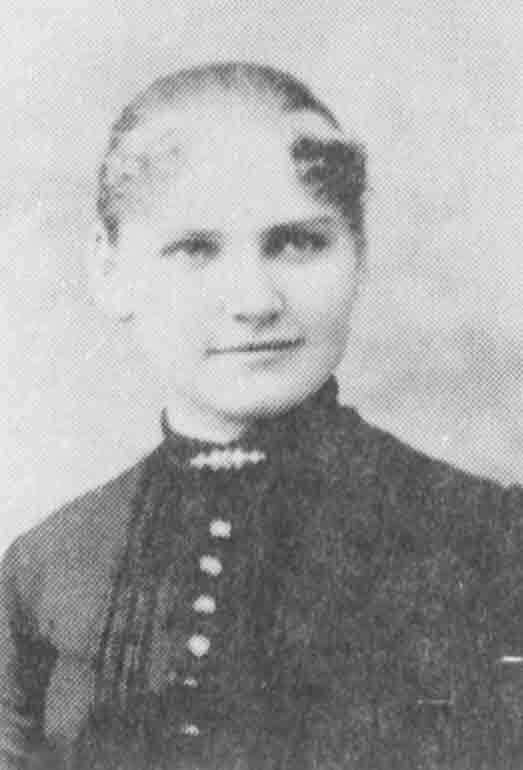 on January 8, 1890, daughter of John and Emily Brown Kramer, she moved to Kittery with her family while still very young. She attended the Kittery schools and worked in York before her marriage in November 1920. All her married life was spent in the family home on Goodwin Road or at their home in Belle Isle on the outskirts of Orlando, Florida where she spent many happy hours growing flowers and fruit. She tried her hand at everything - cotton, pineapple, sugar cane as well as her twenty-two rose bushes and other everyday flowers. This last Easter there were three hundred and thirty-four blooms on her Easter Lilies and these she shared with others as she did all the abundance of her garden. She fed birds by the thousands, and her home was a Mecca for many friends from Maine and other parts of New England. She was a member of the East Eliot Methodist Church and of the Woman's Society and her contributions to the work of the church over the years has been countless. She worked, too, in the Conway Methodist Church which she attended for many years while in Florida. Even this past winter she spent hours preparing articles for sale at the Church's fairs. Tall and strong, her quiet dignity endeared her to all. She is survived by her husband, her daughter Eleanor M. Pearsall, three grandchildren, Bonnie, Nelson and Terry Pearsall, and two sisters, Mrs. Fred Leavitt of Eliot and Mrs. Helen Gardner of Rockland, Mass. Visiting hours at the J. Verne Funeral Home, Thursday and Friday at the caller's convenience. The Funeral will be on Saturday at 1:30 at the Buckminster Chapel, Portsmouth. Excerpts from the VITAL RECORDS OF LONDONDERRY, N.H.
A. Joshua, Jr., b. Nov. 13, 1801, and Polly Mary Jones, b. Jan. 13, 1804.
f. George Newman, Jan. 31, 1848. B. Josiah, Nov. 28, 1807, and Esther ----. b. Henry, Mar. 30, 1835 and Mary Ann Moar. Son: Arthur Worthington, Dec. 5, 1865.
e. Joseph Stone, Aug. 31, 1846. 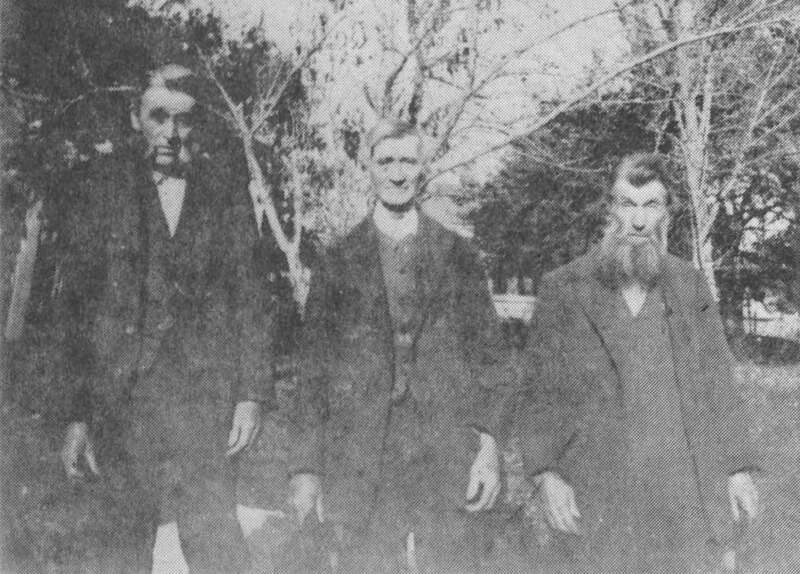 Left photo, center: Nathaniel GOODWIN, grandfather of Harry GOODWIN, left side: Harry's Uncle Elisha; right side: his Uncle Nathaniel. Lower left, Frances Louise BRIGGS GOODWIN, mother of Harry. Lower center photo: Estella Maude KRAMER, wife of Harry GOODWIN. Harry's lineage: Millard, Nathaniel, Elisha, Daniel, Elisha, Thomas, Thomas, Daniel. Having spent my childhood years in Eliot, Maine, one of my vivid wintertime memories is of seeing the monstrous snowplow with its red ?wing". We lived on the comer of Rt. 103 and Depot toad at Ireland's Corner. In the quiet country air it could be heard quite some distance away. Harry is my 2nd cousin, 1 generation removed. His grandfather, Nathaniel, and my great-grandfather, Daniel were brothers. He was very interested in the family lineage and when I became interested in tracing my Goodwin line about 1960, he was very helpful and gave me information and pictures so that I could copy them. During the Eliot Sesquicentennial in 1960, which celebrated the town's incorporation in 1810, Harry was a most interesting guide on the historical bus tour which I took with my children. He was very well informed about Eliot's early history. His daughter, Eleanor PEARSALL, is one our members as is his brother, Ralph, and sister, Olive, widow of Edward J. BLAISDELL. His parents had four children: Harry Nelson born 14 May 1890, died 2 Oct. 1964, Oscar Millard, b 3 Oct. 1894, died 7 Jan. 1979, Olive Etta b 25 Nov. 1897, lives in Eliot and winters in Orlando, Fla. and Ralph Briggs b 20 Jan. 1899, who lives in Peabody, Mass. Millard GOODWIN, father of Harry, was the son of Nathaniel and Olive RUSSELL GOODWIN. There were 8 children, all born in Eliot. His brothers and sister were: Russell, Elisha, Nathaniel Jr., George Henry, Ellen Augusta, Alfred and Charles Edward. Millard was the last child in the family.